Nearly 80% of women will experience thinning or hair loss during their life time. Several factors can be responsible for this condition that is becoming more and more common. 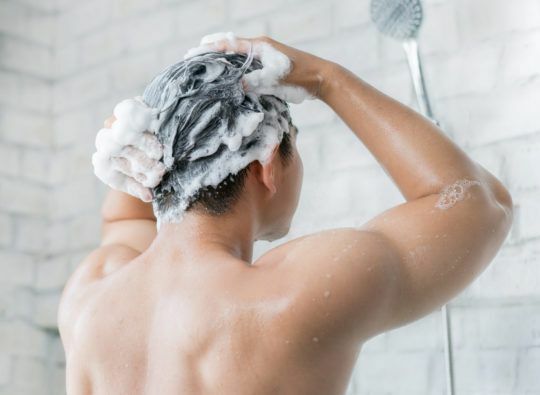 Hormonal changes, environmental factors, diet, stress, fatigue, a medical condition, chemical hair processes, hair products or general health can all have an impact on scalp health and hair vitality and density. Thanks to prevention care and healthy hair routines, it is possible to slow down the process of hair loss and sometimes reverse it to maintain strong, healthy hair as long as possible. Whether you suffer from thinning hair, temporary or permanent hair loss or other scalp condition, various solutions for all budgets are available. Hair thinning is a condition that usually is progressive. In addition to stress, hormonal changes, heredity and medication, the use of some hair care and styling products can contribute to hair thinning and hair loss in the long term. A hair will normally go through 20 to 25 hair growth cycles during its life span, each cycle lasting between 3 to 6 years. If the funnel where the hair grows is clogged with residues caused by the use of unhealthy hair products, the hair has no space to grow and will gradually get thinner. This thinning process can eventually lead to permanent hair loss. Taking preventive measures as soon as possible is essential to counteract hair thinning and hair loss. A consultation with a trichology specialist will help identify the specific causes and provide the appropriate in-salon treatment and at-home care. There are several types of hair loss in women, some temporary and others, permanent. The cause can be hereditary, hormonal, or directly linked to a health issue, medication or others. Swift and proper identification of what’s causing the hair loss is the best way to save time and money on ill-suited treatments. The key is to identify the exact cause to ensure the appropriate measures in slowing the progression of hair loss and possibly reverse it. Any female hormone change can have an impact on the texture and density of the hair. Menopause can trigger some forms of hereditary alopecia in women. It is common to notice a loss of hair density on the top of the head and on the frontal hairline, which recedes at the temples. 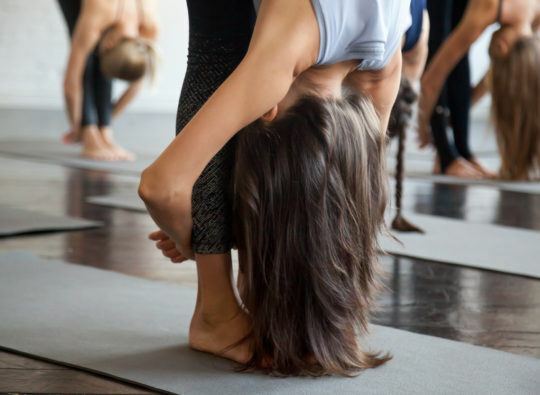 The speed and intensity of hair loss will vary from woman to woman, and can be amplified by other factors such as stress, vitamin deficiency, medication and others. Acting at the first signs of hair thinning with effecient solutions will limit the impact of menopause on your hair. Several factors explain the changes in women’s hair during pregnancy and postpartum period. Hormonal changes, vitamin deficiency and stress can contribute to postpartum hair thinning and hair loss. In addition, by the 6th month of pregnancy, the foetus creates its own hair system and absorbs a large part of the mother’s amino acids, a key player in hair growth. This is why most women will experience visible hair loss a few months after delivery. This condition is usually temporary and hair will grow back to its initial density, but for some women, this hair loss will become permanent. A consultation with a trichology technician will provide a personalized prevention program including in-salon care and at home routine during and after pregnancy, in order to restart the interrupted hair growth cycle, promote a return to optimal density and help reduce the effects of postpartum hair loss. 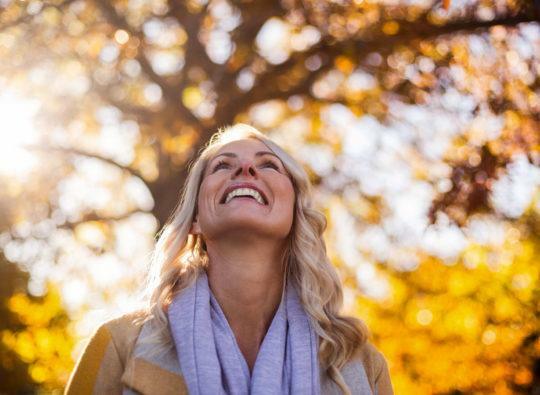 Periods of seasonal shedding: Spring (March to May) and Autumn (September to November) Skin and hair cells renew themselves on a regular basis. During the normal process, strands will fall and regrow at a rate of several dozens per day. Natural hair loss tends to intensify during the spring and fall season. Hair loss is more important and may even seem abnormal during these periods. Without adequate care, the scalp that accumulated residue retains strands that have already separated from the root, affecting the birth and growth of new hair. 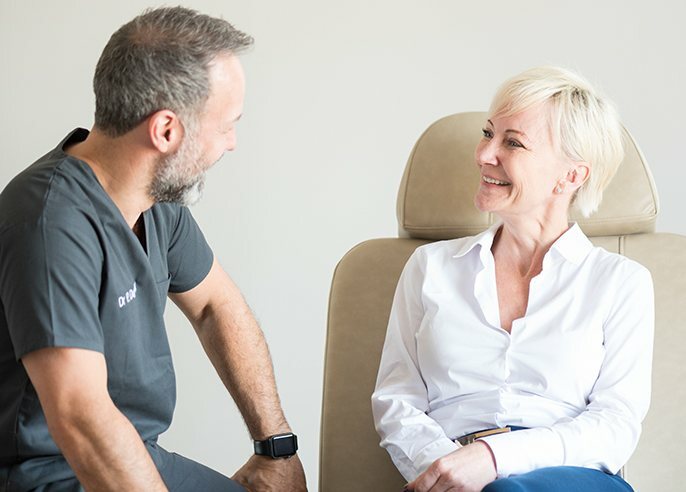 Seasonal hair loss shouldn’t last more than three months, beyond this period, a trichology specialist should be consulted to make sure another cause is not to blame. Chemotherapy and cranial radiotherapy treatments provided to fight cancer can reduce and sometimes stop the hair system’s cellular activity. Hair may begin to fall a few weeks after the start of treatment. The speed and intensity of hair loss will depend on each person and the specific treatment received. In addition to hair loss, some people may experience high sensitivity, itching or irritation on the scalp. Hair will usually grow back 4 to 6 weeks after the end of treatments, however it remains vulnerable and is likely to be more sensitive to usual hairstyling procedures such as coloring or perms. 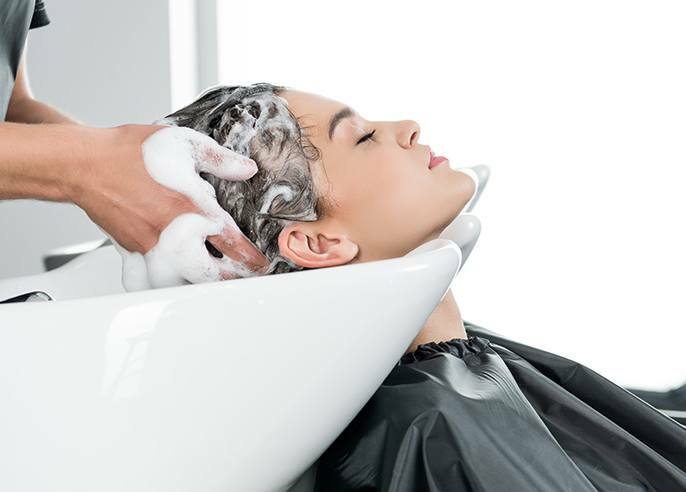 A consultation with a trichology technician will offer a personalized program providing in-salon and at-home care to soothe and moisturize the irritated scalp and prepare the hair cycle for optimal regrowth. Book an appointment with a Capilia trichology expert to analyze your hair condition, get answers to your questions and discover our range of solutions. Capilia trichology technicians are trained in scalp and hair health. Their expertise ensures an in-depth analysis of your condition and proper identification of the causes of your hair and scalp disorder. There are many hair solutions out there to meet the needs and conditions of each and everyone. 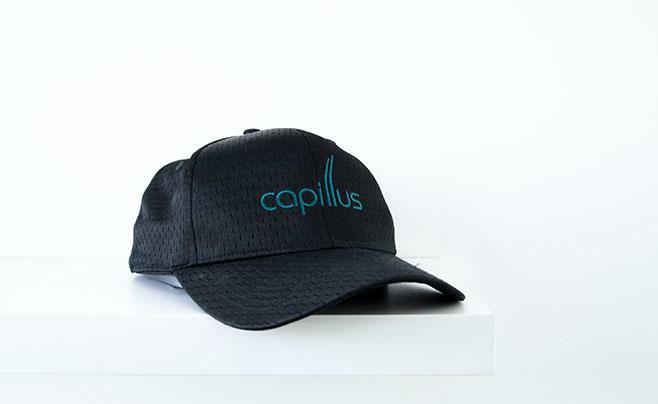 Capilia offers the complete range of preventive and corrective solutions to hair thinning and hair loss. Let us guide you and find the one that will meet your expectations. To propose the best solution for each client and reach optimal results, Capilia offers personalized programs that combine several innovative technologies. 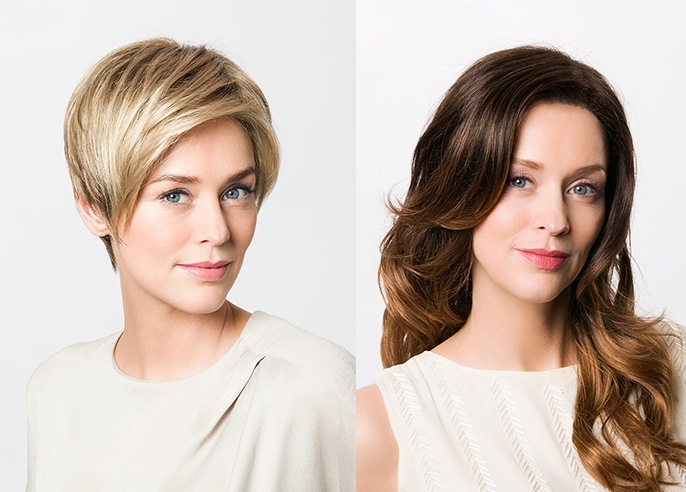 This method is provided through the experience and expertise of our trichology technicians and medical teams. 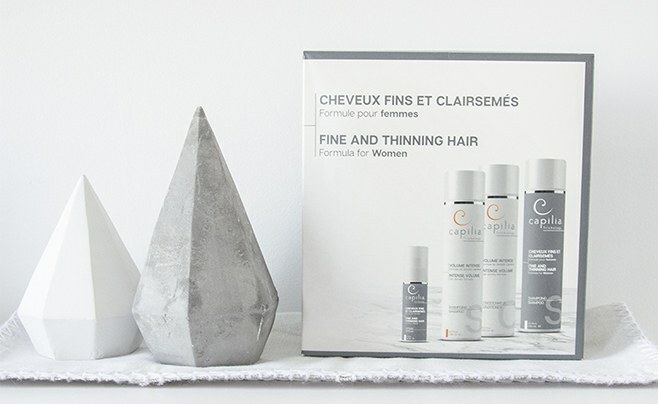 The Fine and Thinning Hair kit, is formulated to stimulate hair cells, provide new vitality, deeply clean the scalp and counteract hair loss in women. Adopt this simple at-home hair care routine. In-Salon care, provided by technicians in trichology using products and techniques exclusives to professionals, are designed to cleanse your hair and scalp of all deposits and give your follicles the essential nutrients to stimulate the hair growth in order to counteract hair loss. Laser therapy systems are designed to activate the blood circulation in the scalp to slow down and reverse hair thinning and hair loss in women. Easy to use, it only takes 6 minutes/day in the comfort of your home to get thicker, longer hair. No known side effects. 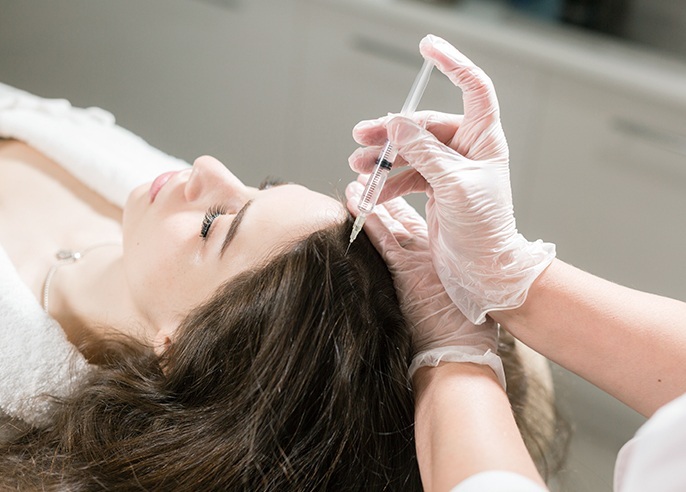 This medical procedure consists of platelet-rich-plasma injections in the scalp to stimulate the cells at the base of the hair. This procedure slows down hair loss, activates regrowth and enhances hair vitality. 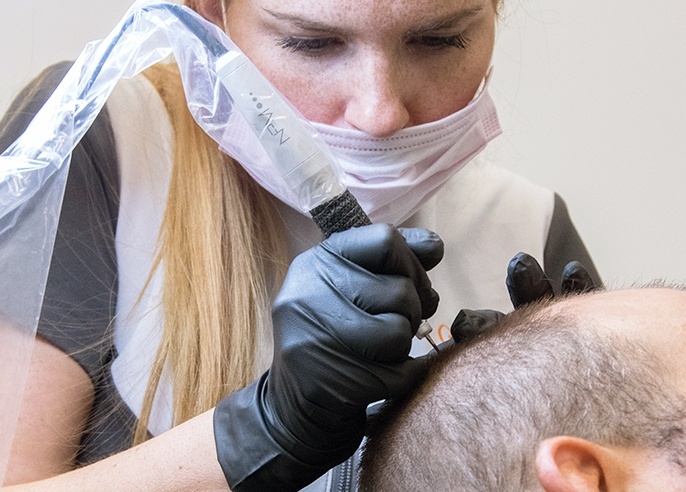 Micropigmentation is a non-surgical solution that can hide a thinning and bald area of the scalp to create an appearance of fuller hair thanks to pigments inserted in the scalp's epidermis. Hair transplant is a permanent surgical solution to correct hair loss. This solution is ideal for women who have a good donor area and who want to have their hair density back. Instant hair correction is a flexible solution that provides a natural look, available in a wide range of models, that allows you to increase hair volume or completely replace hair.